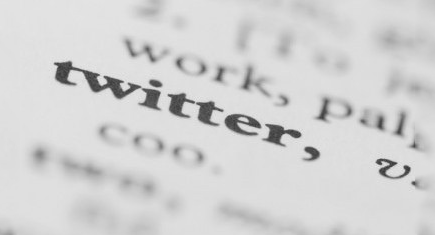 If you’re just getting started with Twitter or even if you’ve been using it for a while, sometimes you just need a refresher on Twitter terminology. I’ve taken the time to compose a list of 20 Twitter terms that you should get to know (and bookmark). Take a few minutes to read through these 20 Twitter termsand examples of how you use them on Twitter to tweet with your friends and make new ones! Twitter can be an extremely powerful social network to help your business capture leads and build better online engagement with customers and fans. While it is very easy to learn how to send a tweet, often times, this only produces more noise. That’s why it is important to track and analyze your tweets on a consistent basis. The benefit to doing this is that it helps you not only know where you stand regarding who is following you, but you can also see if your account is gaining followers or losing them. Most importantly, by analyzing your tweets on Twitter, you can know which tweets are working and which ones are not. This way you can tweak your Twitter strategy so that your tweets are not only being seen, but also so that you get retweets, mentions, clicks on your links, and gain new followers. If you already have a Twitter account or are completely new to Twitter, I suggest trying out these 5 apps for tracking and analyzing your tweets on Twitter.